Now available for lease is a 50,425-square-foot speculative industrial building situated on 4.55 acres. 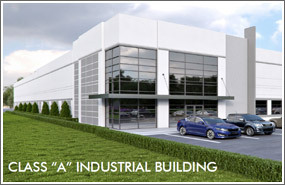 The spec building, managed by Beacon Partners, will meet today’s industrial needs and save prospective businesses months of construction time because tenants will be able to easily convert the building into a space that meets their needs. Cabarrus County’s diversity has continued to grow in the areas of energy, food and beverage, aerospace, back office, logistics and automotive. 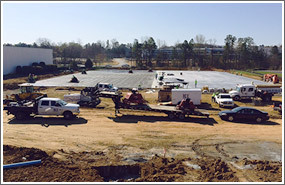 County leaders said the new International Business Park spec building is a positive step to enhance the area’s economic development appeal and offer a solution for businesses looking to come to Cabarrus County. To learn more about the spec building and its features, contact Anne Johnson or Bryan Crutcher with the Charlotte office of CBRE.